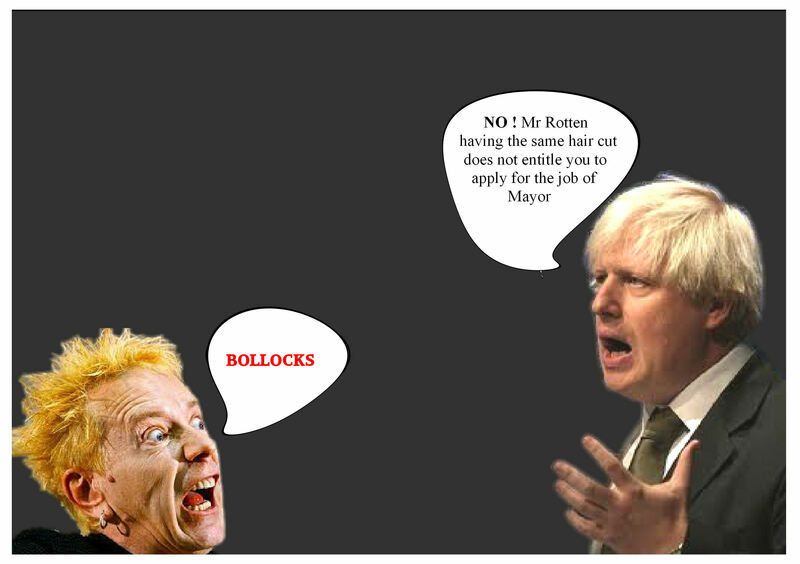 This entry was posted on 12 July, 2012 in homepage, Uncategorized and tagged Boris Rotten, Boris vs. Mr Rotten, Dae Cooper, John Lydon. Bookmark the permalink. if ya gonna vote for anyone..a ‘gooner’ is good enough for me !